Upon getting to know Peirce College Organizational Leadership student Janice Kutt, one might wonder how she has the time and energy to maintain a 4.0 GPA at Peirce College. After all, it’s no easy task to juggle a full-time job, a full-time college course load, and a few hours of selling real estate on the side; all while being a single mother of four children! But after listening to her story it becomes clear that Janice, like many Peirce students, has become incredibly adept at juggling her many different life responsibilities. Janice graduated high school and originally enrolled at Peirce College’s partner school Montgomery County Community College (MCCC) in 1998 as an Elementary Education major. Though she enjoyed attending classes at MCCC, Janice also worked on the side and eventually had her children, which forced her to sidetrack her college education. In 2013 however, she returned to MCCC more prepared than ever, determined to finish what she had started. When Janice graduated from Montgomery County Community College in 2015 with her associate degree in Health Services Management, she dealt with some life changes, including a new position with a new employer. It was then that she realized she would have a better chance at upward mobility within her company if she armed herself with a bachelor’s degree. 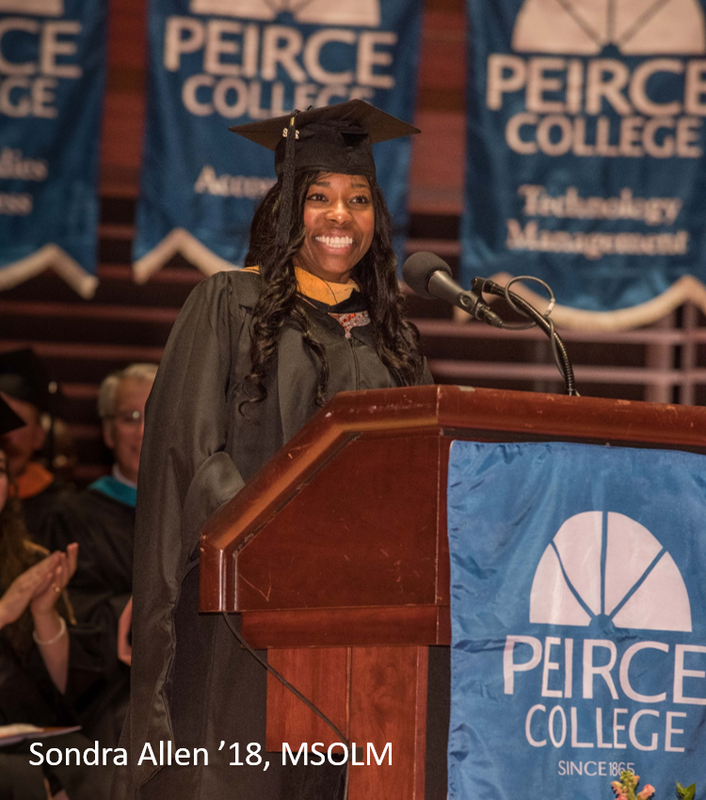 After looking around and weighing her options, she decided to enroll in the Organizational Leadership bachelor’s degree program at Peirce College. Janice currently carries a 4.0 GPA and continues to work full-time at her position as an Operations Administrator with Binsky & Snyder LLC. Due to graduate in 2020, Janice says she’d love to stay with Binsky & Snyder, with the hopes that she can continue to rise within the company. Additionally, Janice says she can’t wait to continue her education and plans to earn her master’s degree after she graduates with her bachelor’s. 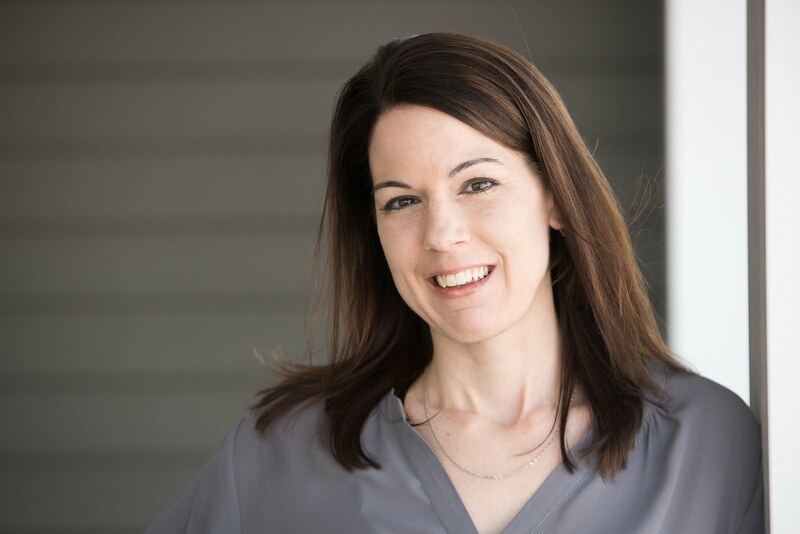 Though Janice doesn’t have much free time considering her full time work, school schedule, and the fact that she puts in a few hours per week as a real estate agent, she loves to spend time with her children. She says that when they’re together, they enjoy bowling, kayaking, hiking, and going to amusement parks. She’s also excited for a weeklong family vacation to Virginia later this summer. 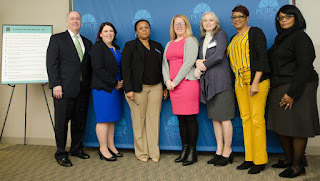 Peirce College salutes Montgomery County Community College for providing Janice with a strong educational foundation, and wishes Janice the best in her future! Last week, more than 200 students from 40 different colleges and universities rallied together in support of student aid in private higher education for Student Aid Advocacy Day, organized by The Association of Independent Colleges and Universities of Pennsylvania (AICUP). At this advocacy event, students showed their passion and dedication to protecting the maximum PHEAA Grant award that has helped so many of them and others achieve their educational goals. The grant has been cut in the past and this event was designed to show political leaders how these cuts have impacted and will continue to impact current and future students’ lives. Peirce College took part in this rally with representation from one of Peirce’s PHEAA Grant recipient students, Nazia Bibi. Nazia is a current Information Technology student who is set to graduate in June 2019. She decided to go on behalf of Peirce College to not only discuss how the PHEAA Grant has helped her finish her degree, but also to represent the 385 other Peirce students who attend Peirce with the help of this grant. Following the initial rally where three students from Lebanon Valley College, Seton Hill University and Susquehanna University spoke directly to the crowd in support of student aid, students were encouraged to speak directly to their state representative and other leaders who may be able to assist in strengthening this grant’s future. 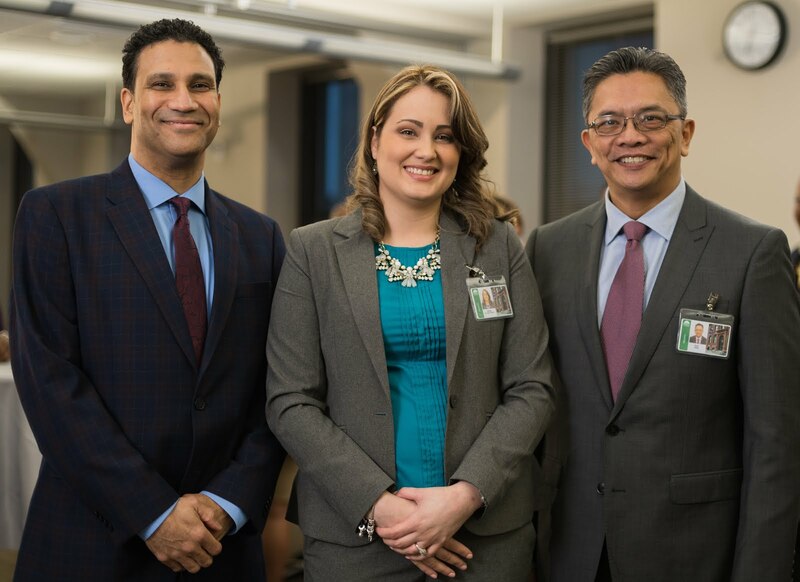 While at the event, Nazia made sure her representative, Congressman Brendan Boyle, had plenty of information about Peirce College, where her PHEAA Grant went directly to help fulfill her bachelor’s degree dreams. Following this, Nazia, along with Amanda Hill, Peirce’s Director of Marketing and Communications, AICUP President Tom Foley, and AICUP Vice President of Government Relations Nichole Duffy, all spoke with Pennsylvania State Senator and Vice Chairman of the PHEAA Board Wayne Fontana. The group collaboratively explained the importance of PHEAA, how they have seen it change individuals’ lives, and why it is important to maintain and increase funding. These conversations are how change is made and lives are improved. Peirce College is honored to have been represented by Nazia Bibi at the Student Aid Advocacy Day who so bravely spoke for not only herself, but many other students who benefit every day from student aid. When making the decision to finish your degree, you know the ultimate goal is graduation. 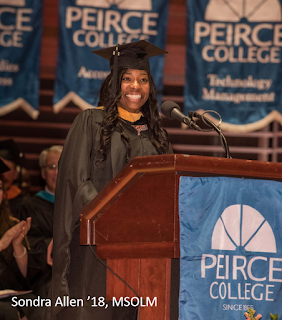 To cross that commencement stage is such a feeling of accomplishment and Peirce College loves celebrating every single one of our students who have reached this milestone. But, you can’t get to this memorable moment without first putting in the work! Save the date for Monday, April 15, 2019 when registration for the 2019-2020 academic year opens. This is your chance to seamlessly continue on with your classes and finish earning your degree. There are many benefits to registering early and for the entire academic year in one shot. Check out some of the top reasons Monday, April 15 is your time to guarantee your seat at a future commencement. 1. Many of our popular courses, such as COM 112, HUM 102, SCI 105 and MAT 101 fill up quickly. If you are required to take one or more of these courses, you want to make sure you sign up in advance, so you keep your graduation year intact. 2. Peirce College’s Peirce Fit® courses are the first to fill up and if you prefer to take courses in this format, this is your chance to secure your seat in the course with the style that works best for you. 3. Enjoy the academic year stress-free knowing you worked with your Academic Advisor to plan out all your courses and when you will take them. This will give you the ease of knowing you will graduate as planned without any scheduling interruptions or conflicts. 4. The countdown to commencement will be clearer than ever! When you map out the rest of your courses in full, you can see the finish line right in front of you and feel motivated to work harder to get to that point. In addition to these fulfilling benefits, there is also the pride of knowing you are working hard for your degree by planning ahead. We want to make this planning process as easy as possible for you. That is why from Monday, April 15, 2019 through Thursday, April 18, 2019 from 4:30 to 7:30 p.m., Academic Advisors will be in the Main Lobby of College Hall on campus available to schedule your courses immediately. This will take the pressure off your shoulders and allow you to just focus on Session 4 and your other life obligations. So, mark your calendars for Monday, April 15, 2019 and connect with your Academic Advisor (215.670.9177 or advisingcenter@peirce.edu) as soon as possible to discuss your schedule for the 2019-2020 academic year. Good luck and I look forward to cheering you on at your future graduation! A room full of future potential: that is what you will find as a job seeker at Peirce College’s Annual Job Fair. With representatives from some of Greater Philadelphia’s best organizations, you will have the opportunity to make connections with employers who are hand-picked to suit all of Peirce’s programs – employers who are looking for you! This event will take place on Thursday, May 2, 2019 from 3:00 to 6:00 p.m. on campus in College Hall, Rooms 51 and 52. Register for the job fair! Take the first step in committing to your new career. Perfect Your Pitch: first impressions are everything. Participate in this online opportunity that will run from Wednesday, April 24 through Wednesday, May 1 with Career Development Services (CDS) to craft your introduction to future employers. Polish Your Resume: when’s the last time you had a professional review your resume? Our CDS team is standing by to ensure that your documents do their job: get you to the interview! Make an appointment or visit for Walk-In Wednesdays between 10:00 a.m. and 6:00 p.m. in College Hall, Suite 67 for resume and cover letter reviews, interview prep and even a LinkedIn headshot! Gear yourself for greatness by following this To-Do list and then making your way to Peirce College next month for this year’s Job Fair! If you are interested in being one of our employers at the Annual Job Fair, please contact CDS at 215.670.9202 or cds@peirce.edu. Recently, Peirce College had the privilege of being awarded the Governor’s It’s On Us PA Grant to elevate a national platform for awareness and prevention of sexual assault. Building off the momentum of the It’s On Us movement, which is a national organization formed to raise awareness and prevent sexual assault on college campuses, It’s On Us PA was launched by Governor Tom Wolf’s office and the PA Department of Education. It’s On Us PA is a statewide campaign that invites everyone to play a role in ending sexual assault. This movement brings together college and university presidents, superintendents, administrators, teachers, students, families, and community members to reframe the conversation around sexual violence and pledge to be part of the solution. 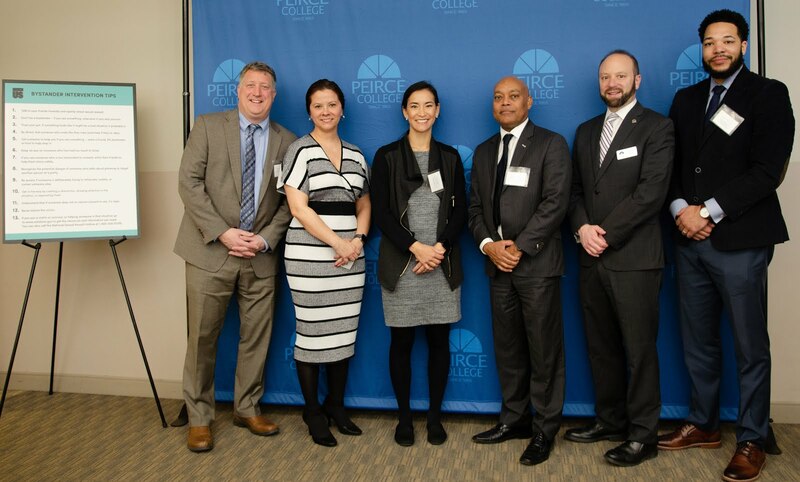 For 2019, Peirce College received the Governor’s It’s On Us PA Grant and immediately put it into action by hosting a It’s On Us: From Campus to Community: Brunch & Learn on Thursday, March 28 at Peirce College. Peirce staff and faculty were invited to join, as well as, Peirce Health Programs students and a few special guests, who included, Mr. Reuben Mills, Director for the Bureau of Postsecondary, Higher and Adult Basic Education, for the State of Pennsylvania and Mr. Saxon Nelson, Contractor for Special Projects, Office of Postsecondary and Higher Education, PA Department of Education; University of the Arts’ Lexi Morrison, Title IX Coordinator and Diversity Administrator, and Rhonda Fioresi, Director of Residence Life & Conduct; finally, Dr. Kathleen (Kate) Watson, Adjunct Professor at Peirce and Owner of Watson Wellness Promotion joined as a guest and the keynote speaker. At this event, Dr. Kate Watson, a renowned victim rights advocate, eloquently led the room in a timely discussion on trauma in its many forms, responses, reactions, and more. She opened the minds of all attendees to understanding further how to best respond to certain situations and to individuals who may have gone through a traumatic experience. One of the biggest takeaways from the forum was the encouragement to change the question we all ask in our minds when encountering someone who reacts a bit differently than us. We should transform our minds from, “What is their problem?” to “I wonder what happened to them?” This small change can impact how we respond and engage with certain individuals, which may make all the difference. As an event conclusion, the room was asked and encouraged to sign the It’s On Us Pledge as a commitment to help keep women and men safe from sexual assault. It is a promise to not be a bystander to the problem, but to be part of the solution. A special thank you to Dr. Mary Ellen Caro, President & CEO, Peirce College, as well as, Dr. Stephanie Donovan, Associate Professor, Faculty Chair, Health Programs, Peirce College and Jacqueline Penrod, Associate Professor, Peirce College for their contributions to the program and event as a whole. Peirce College will continue to work hard to raise awareness and prevention of sexual assault not only on our campus, but around the community. Thank you to everyone who attended this first kick-off event of the Governor’s It’s On Us PA Grant with Peirce College. Peirce College is also getting involved during HIP Week by sharing knowledge and creating lasting connections. Peirce College’s Health Programs faculty will deliver an educational session at Einstein, one of Peirce College’s corporate partners, on the topic of revenue cycle and correct code assignment. This event’s purpose is to elevate the Health Information Management profession and to celebrate HIP week together. Looking for ways to get involved with HIP Week? There are many activities to celebrate this week-long event, which include lunch and learns, displays in facility lobbies and lunchrooms, tours for elected officials, community seminars, and more. Individuals can donate to the AHIMA Foundation in honor of their colleague(s) and AHIMA will recognize them on social media during HIP week. To learn more, visit: the AHIMA HIP Week page and search for events and conferences near you. Also, you can follow the social media hashtag #HIPWEEK19 to see how organizations celebrate across the US!